Customers are what keep you in business. Give your memory a break by keeping track of all their important details with ZipBooks Contacts, so you have what you need when you need it. Add unlimited customers, and record all the details you might need, including payments made, estimates given, invoice history, and contact info. If someone isn’t an active customer, but you’d like to keep their info, no problem! Just mark the record as archived, and you can find it again when you need it. 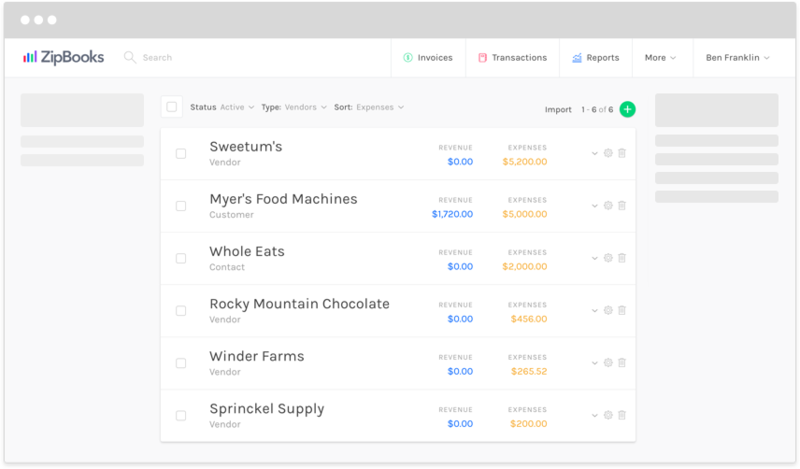 When you add a contact, ZipBooks will automatically identify your contact as a customer or a vendor based on any assigned invoices or expenses. Sort your contacts by name, amount of revenue they produce, or expenses incurred on them.